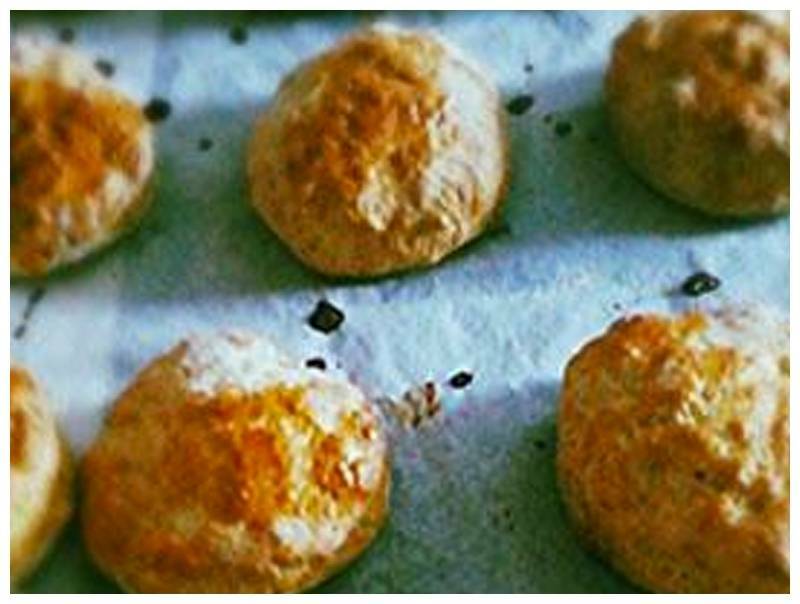 A recipe to make scones with stevia. In this Greensweet liquid stevia is processed. Sift the flour, the baking powder and the salt over a bowl. Add the Greensweet liquid stevia. Cut the butter with 2 knives through the flour. Keep 1/2 of the egg-milk mixture and pour the rest into the flour mixture. Knead into a coherent ball. Roll out the dough into a piece of 1.5 cm thick. Put 8 circles out of the dough with the protrusion mold. Place them on the baking tray and brush with the egg-milk mixture. Bake the scones in the middle of the oven for about 10 minutes until lightly browned. Let the scones from the oven cool down on a grid for 10 minutes.